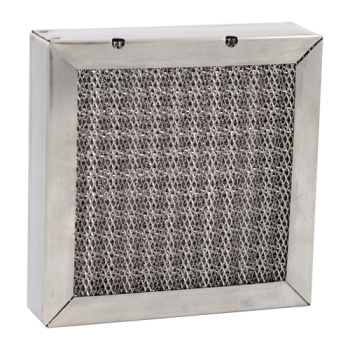 Permatron’s metal mesh air filters come in aluminum, galvanized steel or stainless steel with various thickness from 1/8″ up to 2″. 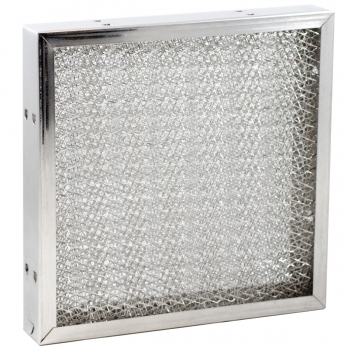 Thicker metal mesh air filters work well to capture oil mist found in return air of industrial machine shops. 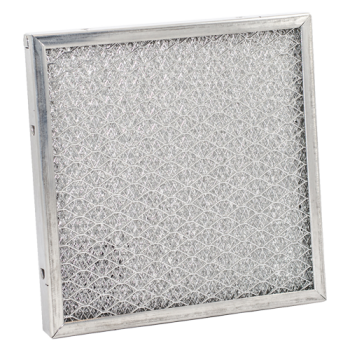 Industrial air filters also capture water droplets from cooling coils and evaporative media or unevaporated moisture downstream from humidifiers. 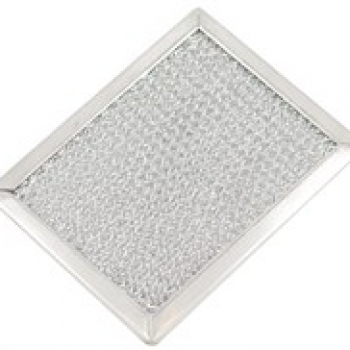 Metal baffle filters are available in aluminum, galvanized steel and stainless steel for use in restaurant, food processing and high heat applications. 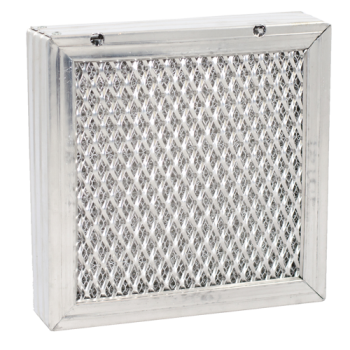 For caustic or corrosive environments, we recommend using a stainless steel metal mesh air filter or our washable Model IN electrostatic air filter in a stainless steel frame for the best results. 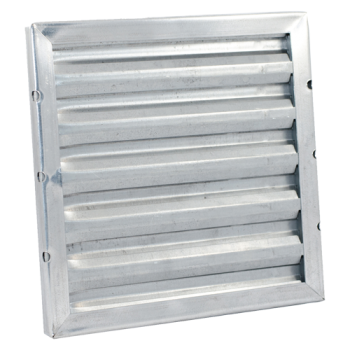 Metal pad filter stabilizing frames are also available in a .02-gauge or heavy-duty 24-gauge galvanized steel frame with expanded metal support grid on one side. This type of stabilizing frame can be used in filtration applications involving media pad change outs. The frame is available with or without two crisscrossed wire supports to hold the media in place. 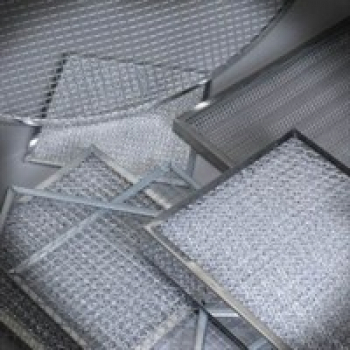 Permatron can also custom design a combination metal mesh air filter to meet your specific HVAC needs using a variety of air filter media, including but not limited to aluminum mesh, corrugated aluminum and PermaCool® electrostatic polypropylene. All of our steel frames, including aluminum, galvanized or stainless steel contain strategically positioned drainage holes for thorough cleaning. Permatron specializes in designing custom commercial and industrial air filters for unique facility challenges without requiring high volume quantities. 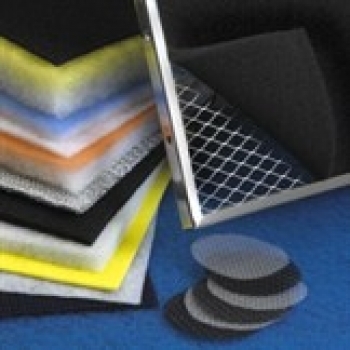 Permatron manufacturers and ships custom sized metal mesh air filters with the shortest lead time in the industry.